Our Carbon Smuggler NX is our best value we offer and was meticulously spec'd to provide a balance of performance and value. This build is ready to rock right out of the box with no need to upgrade anything. Suspension is handled by RockShox and was carefully tuned to provide a killer ride quality that you can adjust. The RockShox Revelation fork is extremely capable and comes with rebound and compression adjustments to fine tune while on the trail. SRAM NX Eagle gives you massive range with a 10-50 tooth rear cog so you can chill on the uphills when you want and crush it on the descents. 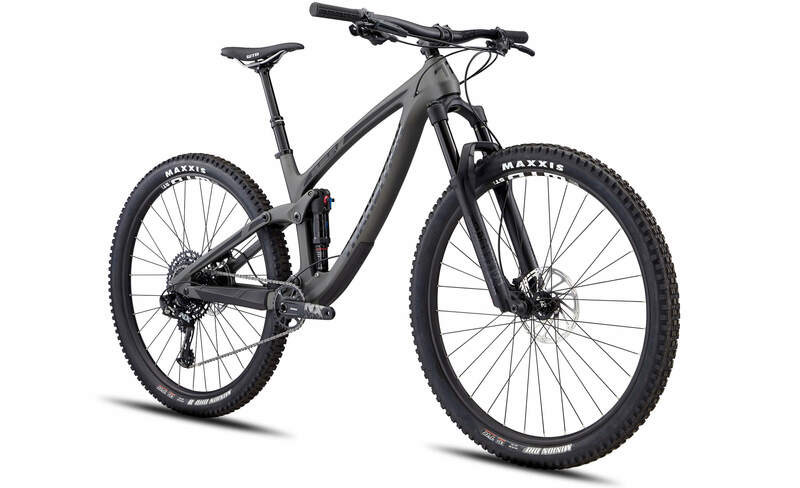 A RaceFace Aeffect Dropper comes standard so you can adjust your saddle height with the flick of a button and Maxxis Minion tires set the standard for the most versatile and highest performing tires on the market.